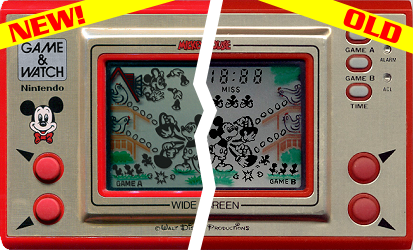 Thanks to the contribution of the Australian gentleman, Eddie Slattery of the Nintendo Game & Watch Buy Swap Sell & Info group on Facebook, I could finally add the English instructions manual browser to the Mickey Mouse (Nintendo, Wide Screen) simulator! I also updated all the other simulators of games of the same series by Nintendo, by adding larger instructions manual, now matching the size of the simulated handhelds. And obviously the new "removable splash screen" has been added to all the games! 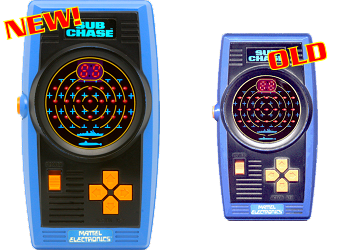 Following my request from last post, my long time friend Rik of the Handheld Museum has sent me high resolution graphics for the very popular game released by Mattel Electronics in 1978: Sub Chase. 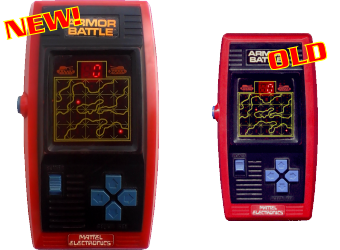 I'm also releasing an updated version of Armor Battle with enlarged instructions manual. The new files are available for download at the usual page. Today's update is an unforeseen one. I really couldn't expect that I would have found high-resolution images of the Armor Battle game! The new simulator has a much better graphics, serious bug-fixes to routines which heavily affected the gameplay, new splash screen (with enable/disable option), new instructions manual, etc. They're available for download at the usual page. P.S. I'm looking for good quality pictures of the other game of the same series: Sub Chase. Please send me an email if you have the game and you're willing to contribute this project! The time has come for me to update Nintendo tabletops simulators by adding better graphics, sound samples, bug-fixes and improved compatibility! I also noticed that the other versions of the game (Nintendo Table Top and Nintendo Panorama) missed an audio sample ("chance.wav") so I have just added it to the zipfiles. In addition, I'm releasing the updated version of Las Vegas by Bandai, which splash screen was a little bit buggy. The new file also features the option to disable the splash screen at request. Lastly, I have added an old article from PC Mania to the Press Review section - don't miss it! Don't miss to get the new files from the usual page. My good old friend AJ (bringing me memories of the Zzap! Italia magazine hehe!) has just told me that the Symantec Antivirus prompts a virus warning on the MarioBro.exe executable which I'm distributing as a single file and as part of the "CD Collection". Well I have tested the file with Virus Total and I have discovered that the file is not infected at all. That's just the crap Symantec software prompting a false positive - no worries. Here's the antivirus report (download), in case you want to check that yourself. 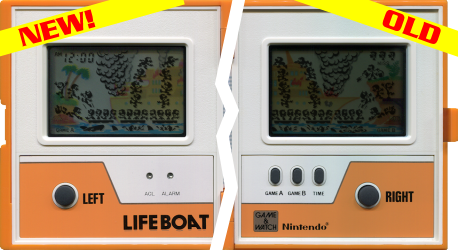 Since I released the most recent version of Lifeboat, I have received several emails from players complaining of the new game graphics, stating that the LCD screen was too dark. Well the fact is that the simulator was an extremely accurate replica of the original game in my possession, which also has quite a dark screen. The files are available for free download from the usual page. I'm finally done with upgrading all my simulators of games belonging to the Nintendo Wide Screen series. The source code has been almost rewritten from scratch and the graphic files were provided by Brett Hicks and David Gschmeidler - thank you so much guys! Grab all the new files from the usual page. 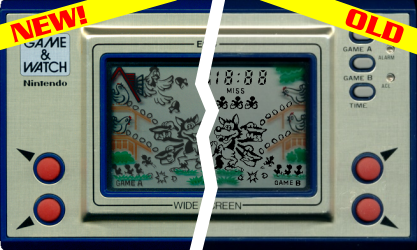 As previously announced, I have devoted this week to updating two games from Nintendo's Game & Watch Wide Screen series. One of them was previously released under the old "standard", over ten years ago. 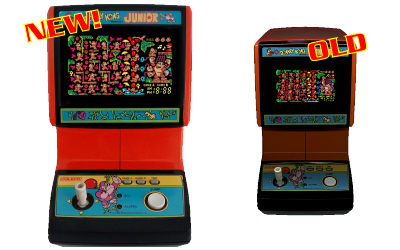 I felt the time had come to better it with more realistic graphics and sound, also making it fully playable on MAME cabinets. 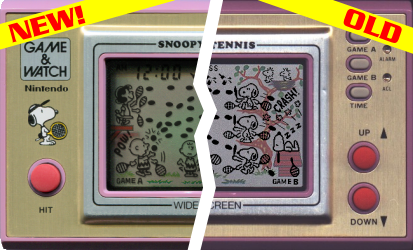 One game is Snoopy Tennis, and the other one is Parachute, also with enhanced graphics and sound. Lastly, I'm releasing my very first DATfile for use with ClrMamePro. 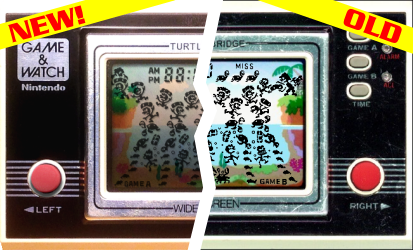 I have always wanted to upgrade my simulators of games belonging to the Nintendo Game & Watch series, but unfortunately I don't own the original handhelds anymore and I have no chance to scan them at high resolution by myself. 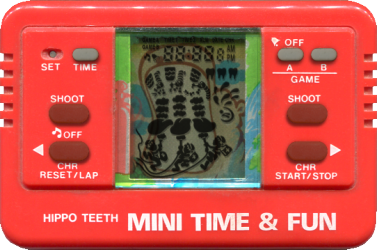 Luckily, I recently got a huge help from two Austrian men, authors of the gorgeous Der Inoffizielle Game & Watch Sammlerkatalog book, who provided me with great pictures and scans from a few games I simulated long ago: Egg, Mickey Mouse, Snoopy Tennis and Turtle Bridge. I'm finally done with updating all the simulators of games from the popular VTech "Time & Fun" series. I'm releasing the missing five games today, making a total of 2 new games and 23 updates in 3 weeks - wow! 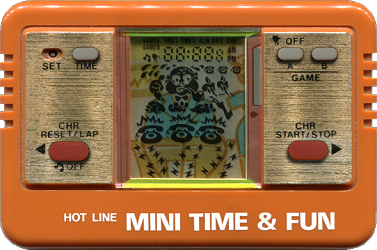 Due to the high demand of Nintendo games, I promise I'll spend more time to updating Game & Watch simulators next time! The games and the newly released Madrigal CD Collection ver. 59.1 are available for download from the usual page. More news today. Again, a new simulator and several updates to previously released simulators. 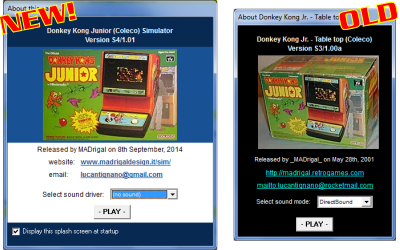 The games and the newly released Madrigal CD Collection ver. 59 are available for free download. Lots of good news today. A brand new simulator, 9 updates to previously released simulators, and a new section. Grab the games and the newly released Madrigal CD Collection ver. 58 from the usual downloads page. Don't miss to also read the brand new page: Press Review, featuring a collection of several articles on my simulation project, previously appearing on magazines, websites, books, etc. Stay tuned on this website as I'm releasing a new game very soon! Quick news: the complete news archive is online again. Enjoy! I spent the past three weeks working very hardly to release the updated version of my old simulator of Donkey Kong II (Nintendo, Multi Screen). I really wanted to release it today to celebrate my 40th birthday and make you a gift in my very own way. But a few unforeseen issues prevented me from finishing the job in time. 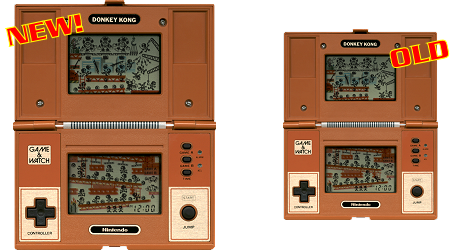 I had some time to update the other game from the series, that's Donkey Kong (Nintendo, Multi Screen). The game has much larger graphics (+30% size, now fitting a 1024x768 desktop) and a few bug fixes and optimizations. Grab them from the popular downloads page. Stay tuned as I'll probably complete the Donkey Kong II simulator before the end of this month.